Really don’t you dare laugh at me…. But I baked cookies and I decorated them and they are the best imperfect sugar cookies I have ever tasted! I have done my fair share of baking through the years. Although I hardly qualify as a baking queen, but I have my true and tested recipes that will always turn out the way I want. But cookies are not on my repertoire. I have tried baking cookies a lot of times. I love cookies! 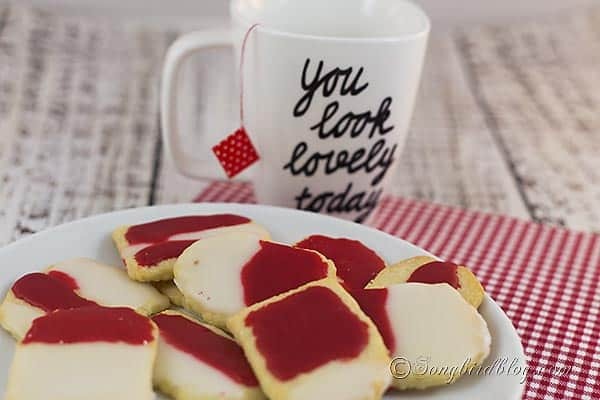 No cup of tea or mug of latte is complete without at least one yummy cookie. But those are hardly ever homemade. I don’t have a knack for baking cookies. But I keep trying. But I was on a mission so I had a special reason to try again. I was preparing for a little tea party. And no tea party without cookies…. I was making a little tea inspired gift package. It involved making sweet little tea bags. If you want to know how I made them, you’ll have to hop on over to Pretty Handy Girl because I share how to make homemade tea bags there. 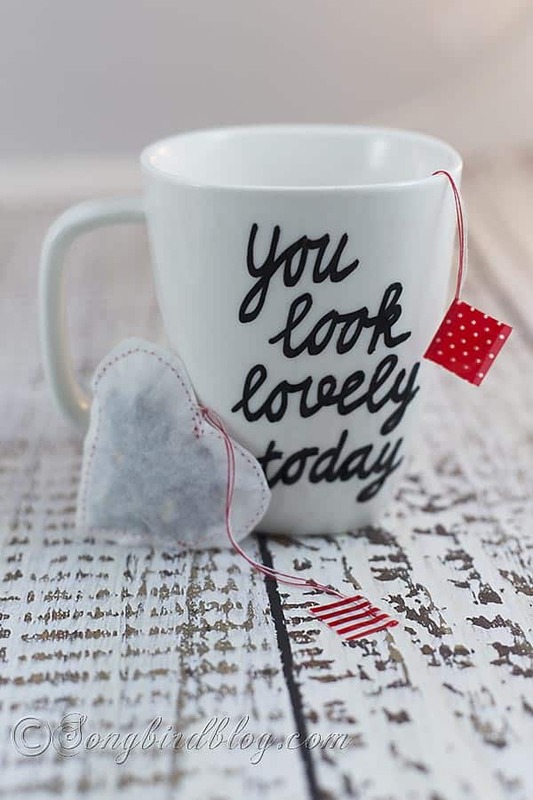 But the tea bags, as cute as they are, are not the topic of the day. My cookies are. My sweet, yummy, irresistible, imperfect cookies. Now in the light of the countless perfect, beautiful and original cookie recipes out there, I guess I should have no business sharing my imperfect cookies with you. Let’s face it, I am well aware than any half-capable kitchen princess, or her daughter for that matter, could do a better job at baking cookies than I did. I wanted tea bag shaped cookies. But I didn’t have a cookie cutter in that shape, so I cut the dough by hand, and that’s why there shape is so rough and uncrisp. And I wanted to make them extra festive by glazing them. But I have hardly any experience with glazing, so my lines where all crooked and my glaze didn’t shine when it dried. So for all you NON-baking queens out there, for all of you who share my can’t-bake-a-proper-cookie-affliction, for all of you who share my believe that the taste of a cookie is more important than it’s looks anyday. (and I am sure if you bake it, the cookies will look a lot more perfect then mine). Add egg, flavoring and salt. Mix well. Mix flour with baking powder, sift it, and add it slowly and in batches to the wet ingredients. Bake in oven that is very well pre-heated to 350° F (175° C ) for 8-10 minutes until the outer edges start to brown. Let cool. And ice to your pleasure. I used a simple icing of icing sugar with water and food coloring. PS It is of course perfectly all right to laugh at me. And smirk a little, at my pitiful attempt to make these cookies look as good as they taste. I can handle it, as long as you invite me over the next time you bake some yummy cookies. I won’t care how they look…..
I’ll be there for the company, ….. and the cookies.